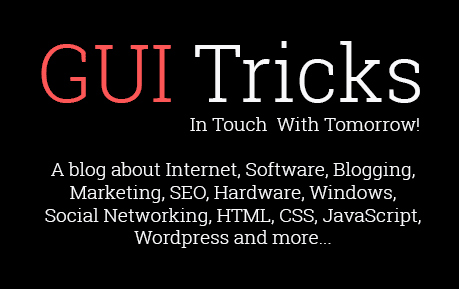 How To Uninstall Unnecessary Windows Updates | GUI Tricks - In Touch With Tomorrow! How To Uninstall Unnecessary Windows Updates - GUI Tricks - In Touch With Tomorrow! Windows updates are very important to maintain performance of windows and to solve every type of issues. Time to time, Microsoft releases updates to solve issues like display errors, DirectX, blue screen error etc. Windows updates also help in upgrading new widgets and features. So every user should get updates after a week. If not possible then at least should update Windows after a month. Sometimes Windows OS automatically gets updates frequently, when it sets on ‘Install Updates Automatically (recommended)’. So, when this happens then lots of unnecessary updates install uselessly. This action becomes very effected, when your operating system starts. Because unnecessary updates after the installation, reserve a huge part of ram memory which causes for computer to run silently. Similarly, if you don’t change updates setting to manually as soon as possible then your hard drive gets to fill rapidly. Unnecessary updates can also be harmful sometimes. So, if you didn’t uninstall them then your computer might be quite damaged. It’s not mean, all updates are useless. Mostly updates normally helpful and necessary. But if you’ve to need space in C-drive or wanna uninstall Windows updates that’s not important then read below. Below I shared a very simple way to uninstall updates in Windows operating system. For uninstall Windows updates, you need to go on Control Panel. Press 'Win+X' or direct go to the start menu and click on 'Control Panel'. After that change your Control Panel view to 'Category' then click on 'System And Security' like below image. Now click on 'View Installed Updates' which is available in Windows Update menu section where more other options are also available. Example is shown in below image. Now a list of your installed updates are shown in this section. You can uninstall your unnecessary updates as according to your wish. For uninstall your updates, right click on your selective update and then click on 'Uninstall'. It takes few moments for the uninstallation which is dependent on your system configuration. Now your updates are installed. But it is just not enough. In the future, to avoid from this you need to change your Update setting. If you don't change setting then unnecessary update will be installed again. To change your Windows Update setting go to the Control Panel < System And Security. Then go to the 'Turn automatic updating on or off' which is here in Windows Update section. Now here a drop down options are available. Select third option of 'Check for updates but let me choose whether to download and install them' and click on 'OK'. That's it. Windows Update is an important thing and you should check it after a one week. If you can't check then at least after a month you should check. Always keep your Windows Update setting on 'Check for updates but let me choose whether to download and install them'. From this way, you can install your update as a custom or according to your wish. If wanna help or have any question then show with me via comment below.